Greenwood Therapist: Felicia C Snell - Therapist 46142. Send A Message To Felicia C.
The spirit of Felicia’s counseling invites others to move through change with compassion and care, in order to heal from the pain of the past, discover your true self in the present and build on strengths to achieve a fuller and more meaningful future. Felicia uses gentle humor within a relaxed atmosphere to help others transform their lives one step at a time, aware that each step is progress. Felicia inspires hope and offers nurturing support to those she works with in individual, marital, family and group counseling. Felicia earned her Masters degree in Marriage and Family Therapy from Indiana Wesleyan University, as well as a Masters degree in Education from Kansas State University. Felicia combines her skills as an educator with her counseling to help others learn new ways of living full lives with meaningful relationships. Felicia's counseling philosophy is to listen to a client's story with respect and care, to join them on their journey, helping discover solutions to problems, supporting the growth, development and a sense of identity in each individual. 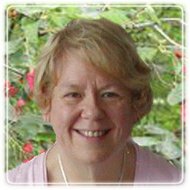 Felicia is concerned about the whole person and takes a holistic approach to support each client in discovering their fuller, richer life in body, mind and spirit. Felicia has a strong background in marriage and relationships, eating disorders, sexual abuse and trauma and uses techniques to help clients become aware of how their symptoms affect various aspects of their lives and nurtures their willingness to move past just symptom relief and towards lasting change of behaviors, habits and thoughts.